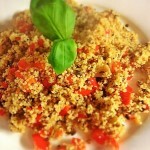 Couscous is so versatile. Personally I make it at least 2-3 times per week for serving with various dishes. 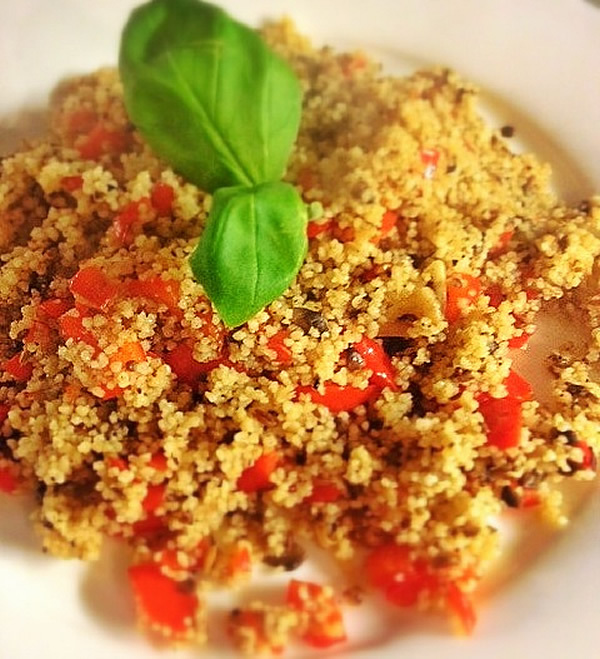 As good as it is made with just a pinch of salt and vegan spread, this quick and simple recipe livens up the couscous and makes for a delicious accompaniment for stews or casseroles. 1 Heat the oil and cooking spread in a large pan and gently fry the garlic, pepper and mushrooms for a few minutes until softened. 2 Add the couscous and panch phoran ( Available Here ) and stir over a low heat for another minute to combine all the ingredients. Serve.